At Around Africa Safaris, we believe that our specialist knowledge and unusual and distinctive itineraries set us apart from other tour operators. Around Africa Safaris offer complete flexibility in the design of your East Africa tour. Together, we work to design a trip that will suit your time, taste and specifications. Owned and operated by both local and international experts, our guides are accredited tourism professionals whose language skills cover German, English, Swahili and Italian; other language guides can be arranged upon request. Around Africa Safaris operate spacious 4×4 Land cruisers and minibuses specifically modified for game drives across bumpy African terrain. Our vehicles are serviced in our own garage before every Safari. Around Africa Safaris guides are certified by the Heart Saver America Heart Association and are fully trained in Wilderness First Responder Course. Every Safari client is automatically insured by Amref Flying Doctors Evacuation Cover. Okech has exceptional knowledge of East African wildlife, history, geography and culture. He is a trained tour guide, sports fisherman, boat captain and birder, qualified in defensive driving and First Aid. Yvonne is passionate about community projects, as evidenced in her published research in Uganda’s Rwenzoris Mountains, Bigodi Wetlands, Kibale National Park and Lake Bunyonyi. We supplement our expertise with regional guides, such as the native Batwa forest dwellers in Buhoma and Mgahinga. The Gorilla Highlands project in Kabale, south western Uganda; Deo the farmer’s Homestead and elephant trench in Ishasha, Queen Elizabeth National Park; The Ruboni Community at the foothills of the splendid Rwenzori Mountains and The brilliant Bigodi Swamp Walk, managed by the Kibale Association for Rural Environmental Development. Visitors love these projects – and we are sure you will too! In addition to supporting the best community tourism projects, Around Africa Safaris’ corporate social responsibilities extend to support the education of several children at Nkuringo Orphanage in south western Uganda. Look closely at our logo and you will see how much we treasure the rhino! The Black Rhinoceros and the White Rhinoceros once roamed Uganda’s savannah. Tragically, armed conflict and poaching wiped out both species by 1982. 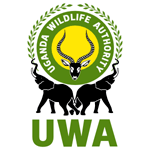 Uganda’s Ziwa Rhino sanctuary – a regular feature on Around Africa itineraries- was established to reintroduce rhinos and is the only location in Uganda where rhinos can be observed in their natural habitat. Six rhinos were imported from overseas; to date Ziwa’s rhinos have produced nine baby rhinos. Around Africa Safaris works tirelessly to fulfill your expectations. Can we help you plan your trip to East Africa? To keep up-to-date with East Africa safari offers, please follow us on Facebook or sign up to the free Around Africa Safaris email newsletter. please contact Around Africa Safaris.